The Emerald Bank complex is closed Christmas Day, Boxing Day, New Years Day, Anzac Day & Good Friday, please make sure to check with individual businesses on closures over any public holidays as this may vary with some of the stores. We specialise in catering for weddings, engagements, corporate dinners & birthdays. 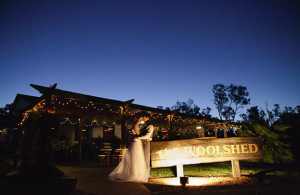 Conference facilities & wedding ceremony spaces from our lakeside deck to our quaint little vintage chapel. 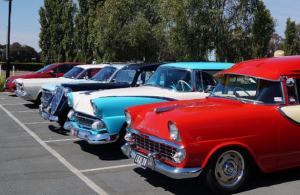 Shepparton Motor Museum is the region’s newest and most exciting tourist attraction showcasing Australia’s best historic, classic and contemporary vehicles. Enjoy Boutique coffee, freshly baked French breads, homemade cakes and icecream, or select from the crafted menu while enjoying the relaxing atmosphere. 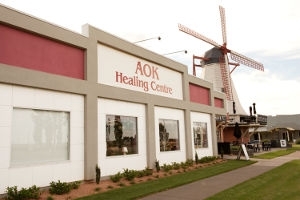 Michelle Newten ‘The Aussie Angel Lady’ invites you to experience the pure tranquility and beauty of the AOK Healing Centre & Specialty Gift Shop. Gifts, Crystals, Healing therapies and workshops. 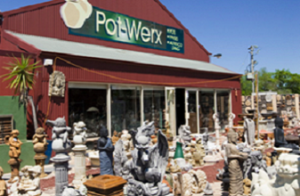 Pot-Werx is arguably country Victoria’s largest range of pots from glazed to contemporary finishes. There is a pot to suit all home and garden styles. 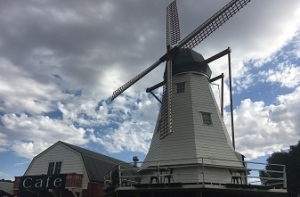 The Windmill at Emerald Bank offers a wide range of chocolate treats to tantalise the taste buds. 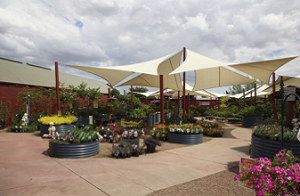 One of Victoria’s best, Riverside Gardens is a beautiful garden centre with a park-like ambience, a place to unwind, stop and smell the roses. 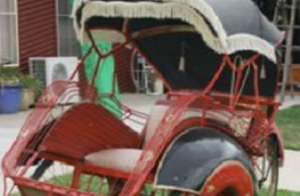 No matter what you are looking for from yester year, Barclay’s Antiques and Collectables will have it.